A multigenerational saga of an immigrant Jewish family in America—from Hester Street to San Francisco—by a New York Times–bestselling author. Katie Kovitz is seventeen years old when her mother dies. 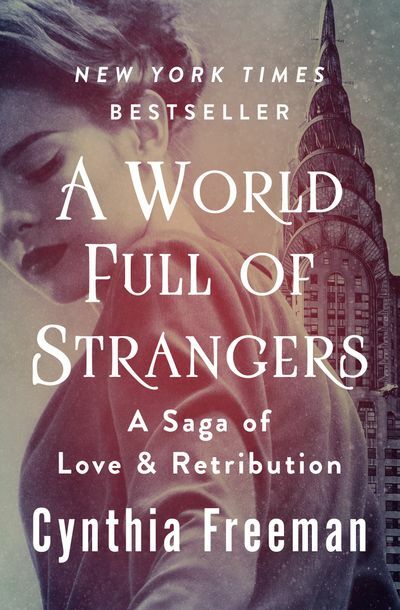 Leaving London for New York Harbor during the bitter winter of 1932, the anxious and uncertain young girl relies on the kindness of strangers for refuge. Welcomed into the home of her Polish mother’s closest childhood friend, Katie is embraced by her new family in a country warm with hope and opportunity. There, on Hester Street in the Jewish ghetto of the city’s Lower East Side, Katie finally establishes the roots that will come to define her. In New York, Katie also finds her future in three people who will change her life in ways she never anticipated: David, the man she marries, a ruthless achiever willing to abandon his heritage to secure power and prosperity under a new name; Mark, their resolute and devout son, and the embodiment of everything his father hates and rejects; and Maggie, a San Francisco beauty who helps to mold David into the man he’s always wanted to be, whatever the cost. As dreams and desires collide, and as Katie strives to reclaim her own lost identity, a series of events will forever affect the ambitions, promises, and legacies of an American family. From the prewar ghettos of Manhattan to the glittering hills of postwar San Francisco, author Cynthia Freeman follows the destinies of three generations of a resilient family, their intimate struggles, and personal triumphs, and brings to vivid life the soul and spirit of the extraordinary Jewish immigrant experience in America.